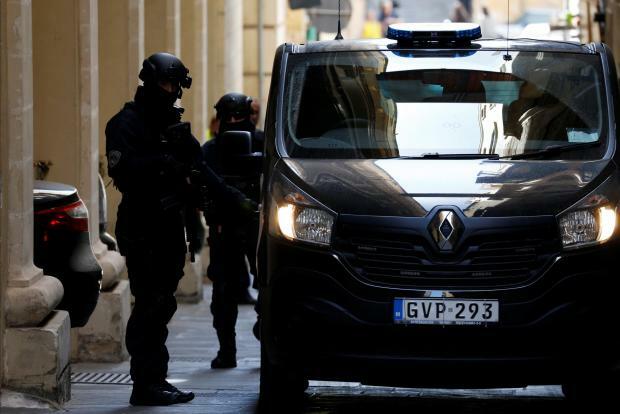 Daphne Caruana Galizia's alleged murderers were back in court on Thursday as the compilation of evidence against them continued. 12.58pm: Thursday's sitting is over. 12.48pm: The magistrate says that the request for bail was still pending. The decree on bail is to be given after a sitting on July 4 once the parties have made their submissions on the issue. 12.31pm: Officer Sergeant Mula, who is stationed at police headquarters, identifies two photos he took since he was one of the first to arrive at the crime scene. The pictures were taken as soon as they could approach car once the flames were put out. 12.23pm: Defence lawyer asks the witness why she was passing by Bidnija that day. Parte civile lawyers as well as magistrate ask why such a question was relevant. 12.19pm: The witness says she was metres away when Ms Caruana Galizia's car was blown up. Taking the witness stand, Charlene Abela's voice falters and she has to regain composure. She is still evidently shocked by the memory. 12.14pm: Witness Charlene Abela says that on the day of the crime she was driving from Bidnija to Mosta together with a four-year-old. 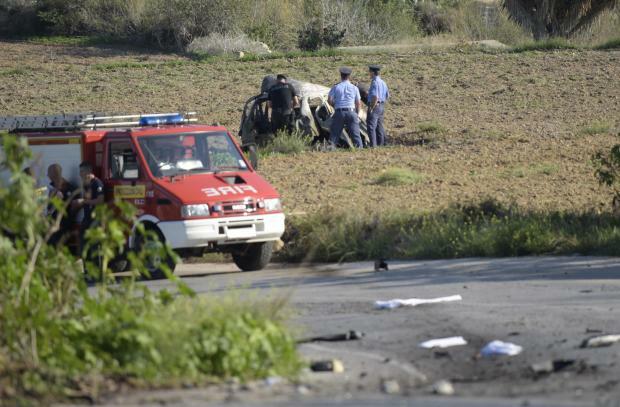 As soon as Daphne Caruana Galizia's car exited from an alley she saw an explosion before the victim's car ploughed into a field. "At the time I didn't know who was driving it." After the first explosion, the witness slowed down her car, thinking there might have been some technical fault. Then she saw a spark and a second explosion after a few seconds. An elderly man approached the witness and asked her to call the police. 12.10pm: Lawyer says the media sources should be taken to court to explain their allegations. Magistrate replies: "And ask them to reveal their sources?" Media outlets are covered by law not to reveal their sources. Magistrate asks lawyer to file this request to the Police Commissioner. "It's the end of discussion," says magistrate. 12.07pm: Defence lawyer Martin Fenech is lamenting about certain media reports claiming that sources close to police were reported as saying that bomb was manufactured outside Malta. He says eventually members of the public may be jurors. "Are we carrying out a trial by the public?" Magistrate replies: "What can I do? I'm personally not influenced by media reports," she assures the lawyer. 12.01pm: Thursday's sitting takes place days after a judge ruled that Deputy Police Commissioner Silvio Valletta should not be involved in the murder probe. 11.58pm: The key players assemble in the court room, including the accused and cybercrime experts. The victim's parents and husband are also present. Ms Caruana Galizia was killed in a car bomb blast on October 16 close to her home in Bidnija. In December, police arrested 10 men in connection with her murder. Three of those - brothers Alfred and George Degiorgio and Vincent Muscat - were charged with her murder. The others were released without charge. Magistrate Claire Stafrace Zammit is presiding over the compilation of evidence. The device was actually planted inside the car. A laptop taken by investigators from Ms Caruana Galizia's residence shows the last data dated back to December 2015. She was using another laptop when she was killed. Police used the FBI's help to home in on suspicious phone numbers. One was linked to a remote-controlled device and went active at 2am in Bidnija on the day of Ms Caruana Galizia's murder. It received an SMS at the time the bomb went off and immediately went off-radar. They believe that the phone which sent the bomb detonation SMS was an old Nokia 105. Police found several Nokia 105 phones at the Marsa shed where they arrested the suspects. Police triangulated cell tower data to work out that the killer SMS was sent from out at sea. George Degiorgio was seen going fishing on that day, and shortly after the bomb went off texted his partner "buy me wine, my love." They received reports of a suspicious car regularly parked by tat-Tarġa Battery - an ideal vantage point for the killers - in the weeks leading to the murder. The car was subsequently never seen there again. Martin Fenech is appearing for Vincent Muscat, known as il-Koħħu, 55.